The Canadian Radio-television and Telecommunications Commission (CRTC) has approved area code 879 as a distributed overlay of area code 709 with an implementation date of 5/20/2022. Ten digit dialing (area code + seven digit number) will be necessary in the 709/879 overlay because different homes in the same geographic area can have the same seven digit phone number but each would have a different area code. 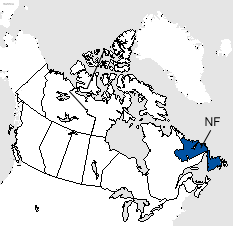 Area code 879 will serve the larger communities of Bay Roberts, Carbonear, Clarenville, Conception Bay South, Corner Brook, Gander, Grand Falls-Windsor, Labrador City, St. John's, Stephenville and Twillingate in addition to many smaller communities throughout Newfoundland and Labrador.